Holiday pretzel bites are quick and easy Christmas munchies made from pretzels, candy cane Kisses, and candy-coated chocolates. The mix of salty pretzels, sweet chocolate, and minty Kisses is addicting. They're so simple, they're a great candy for the kids to help with too. Make them for a Christmas party, as stocking stuffers, or as part of a gift plate! Preheat the oven to 250 F/121 C.
Arrange the square pretzels in a single layer on a foil-covered baking sheet. Top each pretzel with an unwrapped candy cane Kiss. Place the baking sheet in the oven for 2 minutes. After 2 minutes, check the texture of the chocolate. If it is starting to droop and soften but still holds its shape, remove the tray from the oven. If they chocolates still feel fairly firm, leave the tray in the oven for 1 more minute. Once out of the oven, top each Kiss with a candy-coated chocolate. The chocolate should be soft enough that you are able to press down on the Kiss to make a round, pillowy shape. Let the pretzel bites sit at room temperature for several minutes, then refrigerate them to set the chocolate completely. 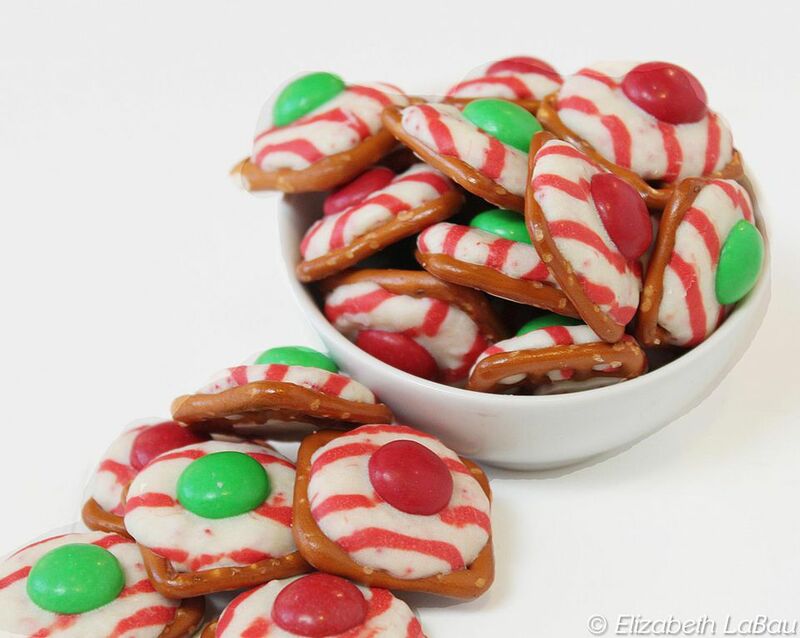 The Christmas pretzel bites can be stored in an airtight container at room temperature for several weeks. Make A Snowman Out Of Popcorn!